CERTIFICATION - Tincasur Sur realiza proyectos en el sector naval, industrial y off-shore. With our sights set from the very beginning on advancing and improving the quality standards of our operating systems in benefit of those who place their trust in us to carry out their projects, in Tincasur we have continued to work and invest to obtain the most renowned international quality certification. Varied and widely recognised certification that is evidence of our high capacity to perform naval and industrial activities of different kinds based on the most demanding quality parameters that, furthermore, reflect our unwavering business commitment to health and safety in the workplace, the environment and quality control. Each and every certificate obtained, some as important and complex to achieve as the PECAL 2120 from NATO, has been an exciting challenge and also a great opportunity to expand our sphere of action. It has involved significant investment to train and specialise our working team and expand our logistical systems and operations. These steps have ultimately served to consolidate our business project based on the three pillars that make Tincasur a company that you can trust to carry out your projects: diversity, technical skills and availability. Diversity that is embodied in our areas of specialization (welding, boilermaking, mechanics and pipe-fitting) with our aims set on offering global solutions for a wide range of jobs. Technical skills in the shape of the best personnel and tools (machinery, measuring and monitoring equipment) for successfully tackling and executing projects that others are not able to tackle. Availability to provide the best and most efficient possible response to our clients in any part of the world. PECAL 2120. NATO requirements for assuring Quality in production. 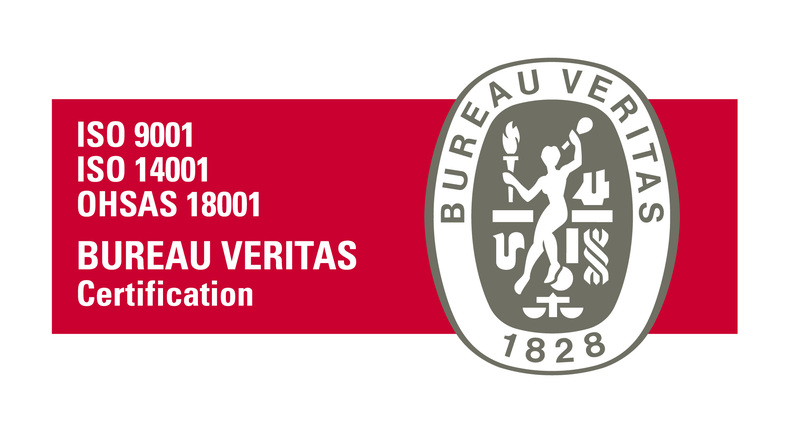 UNE-EN-ISO 9001:2008. Quality management system. UNE-EN-ISO 14001:2004. Environmental management system. OHSAS 18001:2007. Management systems of Occupational Health and Safety.